$5 Entry Fee + range fee if non-member. 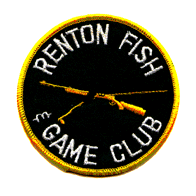 Practical Precision Rimfire (PPR) is a monthly match held at the Renton Fish and Game Club. Whether you are a beginner or an expert, PPR is where you can hone your marksmanship skills, demonstrate your abilities, and share information and experience with your fellow riflemen. PPR is not just benchrest; stages are designed so different setups will excel in different stages. Your individual skill and familiarity with your rifle will be your best assets. Stages consist of a variety of shooting positions and reactive targets ranging from 50 to 200 yards. Detailed rules for the match may be found here. All rules are subject to change and may be modified by the match director.